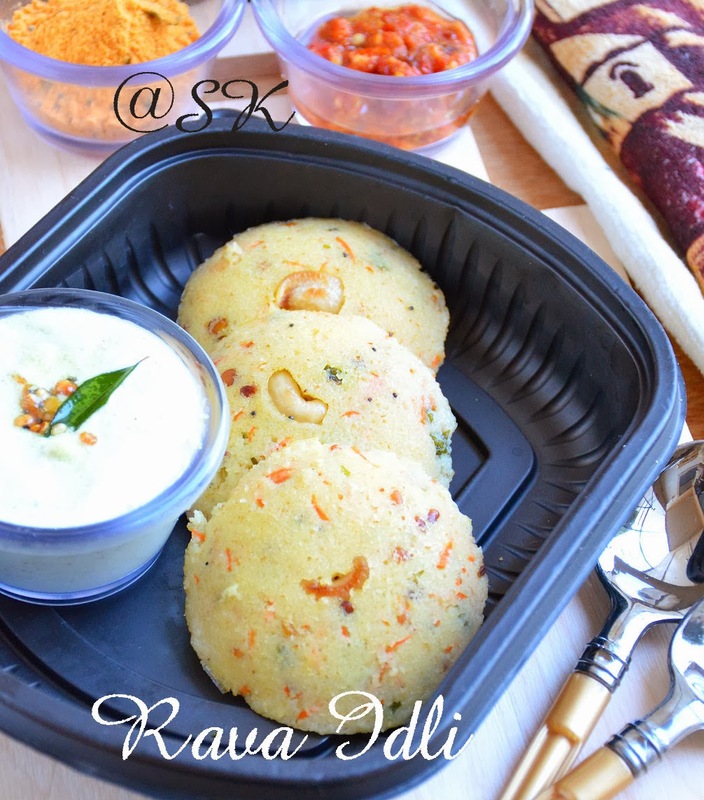 Rava idli is another tempting breakfast from South Indian cuisine. This is also a quick fix for breakfast or dinner. This batter can be made within 10 minutes and cooked within 10 minutes. This breakfast comes handy, when we don't have idli batter at home. 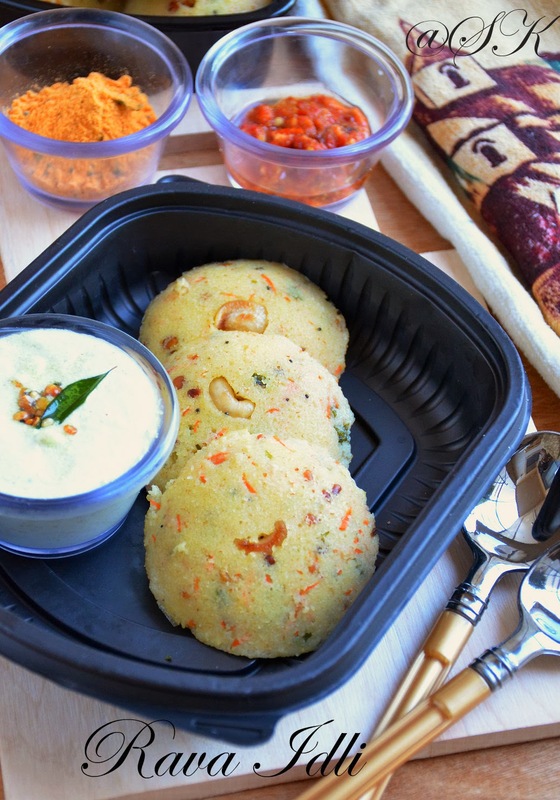 All our South Indian restaurants, serve these idlies anytime of the day. Tomato chutney,Coconut chutney,red chilly chutney,garlic chutney , anything can go with these idlies.Check my Rava dosai recipe here. Linking this to Nalini Suresh's "Tamizhar Tuesday Samayal". 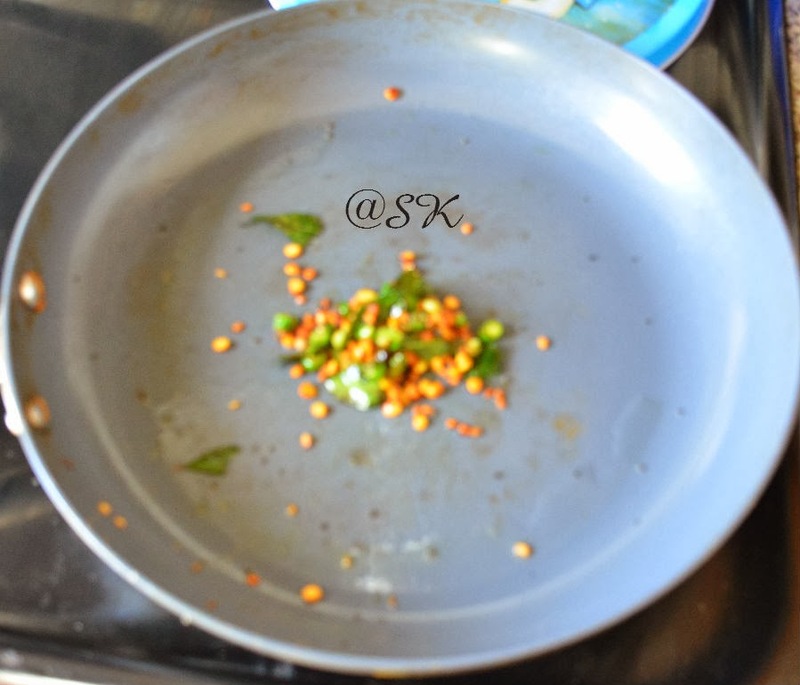 * Take a pan, add oil , splutter with mustard seeds,urad dal,chana dal ,hing and curry leaves. When the dals,turn golden brown,slowly add the rava . * Roast the rava in lmedium flame, till it gives out nice aroma. Take care not to burn the rava. * Once the rava is roasted, turn off the flame and let it cool . 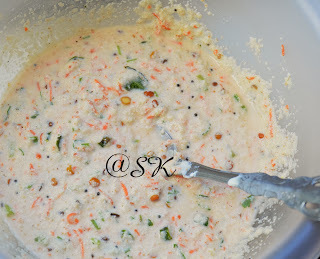 This mixture can be stored in fridge or freezed . Whenever ,we need the idlies, just add the wet ingredients and cook the idlies. But never store the batter , since it has baking soda, it will not stay longer. * Beat the yogurt till smooth. 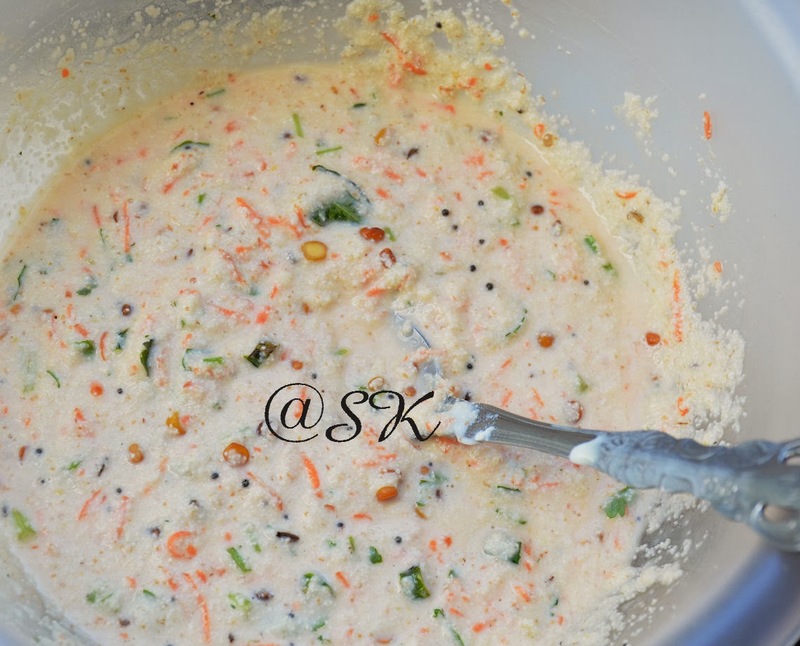 The yogurt has to be at room temperature.Take a mixing bowl, add the roasted rava mixture,yogurt, salt,baking soda,grated carrot,chopped cilantro. 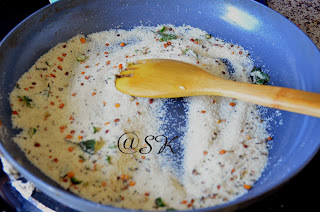 If we want, we can also add some grated coconut to the batter.Mix it well. Now slowly add water to the mixture and form a batter of pouring consistency. The batter should not be too thin or too thick. Keep the batter aside for 10 minutes . 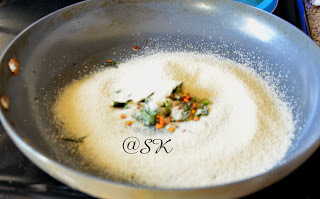 * Take another pan, add ghee or oil and fry the cahsews till golden brown.Grease the idli plates with oil. 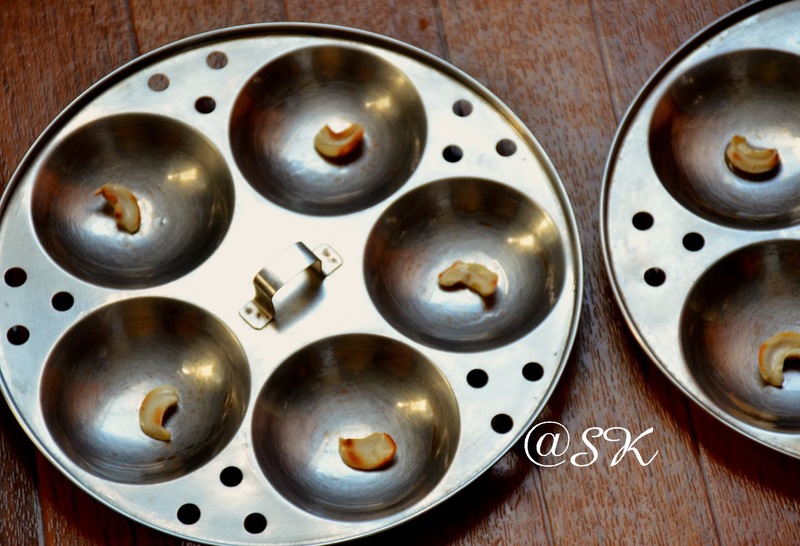 Place the fried cashews on all the holes of the idli plate. 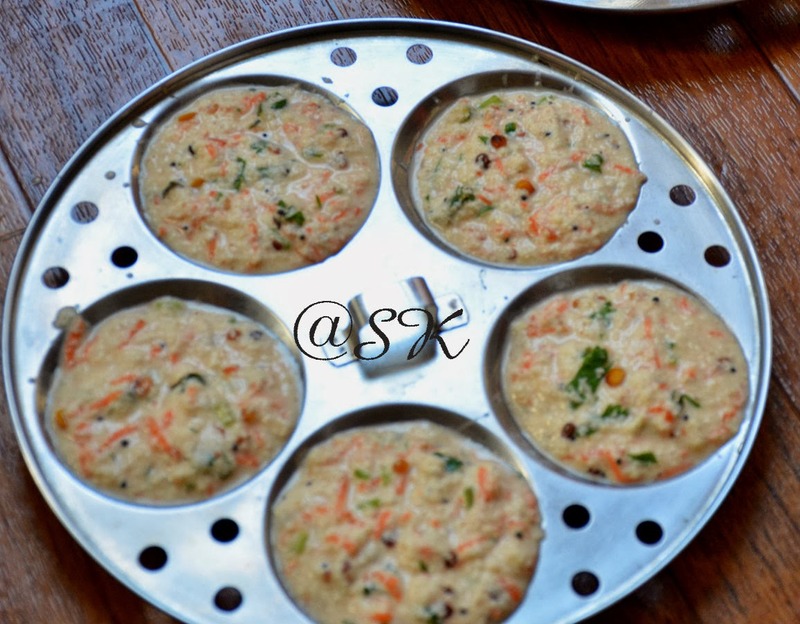 * Now pour the batter on the idli paltes .Steam the idlies like we do for normal idlies. If you want, still grainy idlies, increase the amount of baking soda. 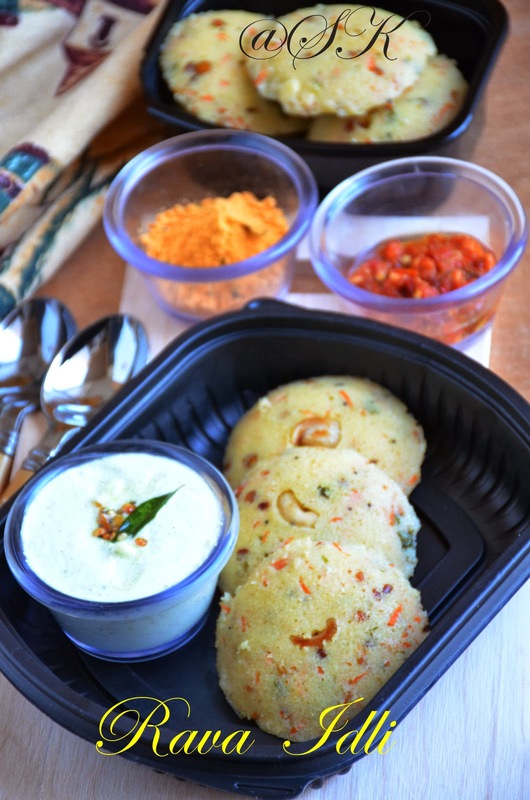 Once, the idlies are cooled, serve with chutneys of your choice. The idlies were soft and yummy.I served these idlies with coconut chutney, red chilly chutney and idli podi. Beautiful clicks. Looks so perfect and yummy!! 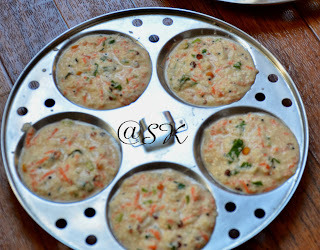 our ffav breakfast recipe. looks perfect. very wonderful presentation n gr8 breakfast recipe!!! Your rava idly looks very tempting.